Supplies Network Named “HP Partner of the Year” at HP Reinvent: World Partner Forum | Industry Analysts, Inc.
CHICAGO – September 13, 2017 — Today at HP Reinvent, HP Inc.’s largest global partner forum, the “HP Partner of the Year” award was announced to Supplies Network, a U.S. distributor of print and imaging products. The annual forum, hosted this year in Chicago, brought together more than 1,400 HP Partners from across the globe along with HP’s CEO, Dion Weisler and his entire executive channel team. Supplies Network was recognized in the sub-category of U.S. Supplies Distributor of the Year. The winning partners are evaluated across a variety of criteria including innovation, category leadership across print, PC and supplier, distributor and re-seller categories. Globally more than 50 partners were honored. Founded by Tom Fleming in the early 70’s and currently led by Sean Fleming, Supplies Network has been an Authorized HP Distributor since 1988. Today, the company specializes as a comprehensive imaging category distributor and offers a full line of imaging supplies, equipment, parts and an award-winning Managed Print Services program. “Supplies Network was chosen out of a select group of valued partners based on a variety of revenue and growth factors that were reviewed and ultimately determined by our channel leadership team. This year’s award winners are perfect examples of what happens when we focus on driving strategic growth together. 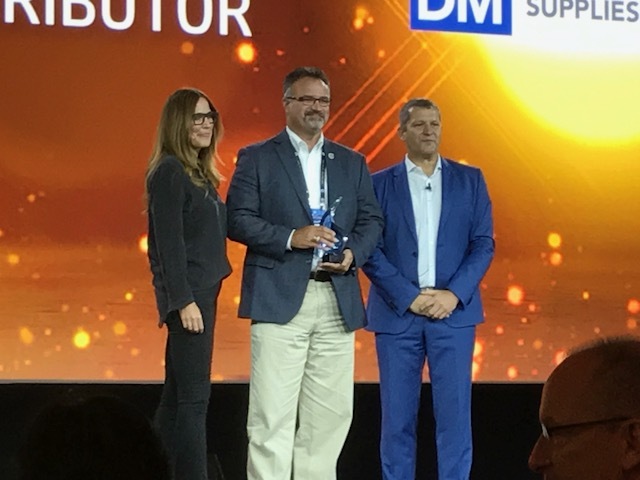 Congratulations on this well-deserved award!” said Stephanie Dismore, HP Vice President and General Manager, Americas Channels. The Fixer. Cleaning up after The Wolf. Great video from HP. This entry was posted in HP and tagged hp, Supplies Network by IA Staff. Bookmark the permalink.